Disclaimer: We were provided a Truman set for review by Harry’s. We made no promises regarding the content of this review. There’s been a bit of a men’s shaving product revolution as of late. Some guys are turning to straight razors, seeking a cleaner shave through the use of vintage tools. 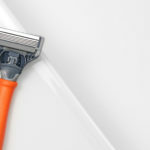 Other guys are looking to save a buck through mail-order brands like Dollar Shave Club, which promise decent shaves on a budget. Harry’s is, at least in terms of marketing, somewhere in the middle of these trends. Harry’s purchase of a 100-year-old German razor blade factory clearly evinces a desire for lineage and quality control – not exactly the reputation of Dollar Shave Club, which sources from Dorco. But Harry’s also markets to men through direct mail and offers uber-cheap razor cartridges, meaning that the company is poised to fiercely compete on price. We’ve had the opportunity to do a long-term test of Harry’s products, and were pleasantly surprised by the razors. If you’re looking for a decent cheap disposable razor set, Harry’s is a great option. Harry’s “Truman” razor is impressive given its cheap price. In the hand, the entire razor feels substantial and well-balanced. The razor blades glide smoothly and lightly across the skin and – thanks to an absence of additional plastic, added medicating strips, or similar nonsense seen on equivalent blades – seem to get less grimy as compared to other razor blade cartridges. The open cartridge design of Harry’s razor cartridges allows shave foam/gel to escape through the blades, but this is not a bug, but a feature: it makes rinsing the cartridge clean in water extremely simple. Similarly, because the entire razor is simply designed and doesn’t have unnecessary rubber or design quirks, cleaning the razor is a cinch, and grime doesn’t accumulate on or around the handle. There are minor complaints we had about the Truman razor, but they were genuinely minor. The plastic handle feels a bit too light, which may lead some to believe the razor feels a bit cheap. It’s likely that Harry’s more expensive razors, such as its “Winston” series, do not have this problem. Moreover, the cartridge mounting mechanism is located in the razor cartridge itself, meaning that the razor will sometimes come apart if forcefully hung on a razor blade holder. Harry’s shave gel does exactly what you want it to do: give you a close, smooth shave and smell good. There’s not much to say here, really – the shave gel works, and it works as expected on a variety of skin types. Outside of the nice scent, there’s little reason to prefer or not prefer Harry’s shave gel, though it does cost a hair more ($4) than products that can be purchased in a grocery store. As stated above, Harry’s razors are a great bargain, particularly given how well the razors are designed. For those looking for convenience and price, Harry’s offers a great product that’s a hair cheaper than the competition. Because equivalent 5+ blade razor systems cost roughly $2.25 a blade, Harry’s $2-a-blade-or-less cost is actually quite cheap. Given the high quality and excellent shave Harry’s razors offer, there’s really no reason not to use their products, other than the risk of running out of cartridges and having to wait on a new package to arrive in the mail. With the above said, Harry’s shave gel might not be the best purchase. At $4 for a small bottle, you can likely find something cheaper and better suited for your skin at a local drug store. The product smells great and works well – it’s just perhaps a hair overpriced.